Posted by M Bharath Bhushan in Andhra, Andhrapreneurship, Godavari, Hyderabad, Polavaram, politics, Rayalaseema, Settler, Telangana, Y S Jagan, YSR. YSRC chief YS Jagan Mohan Reddy on Sunday announced that he would visit Telangana to drum up support for his party in its struggle to keep the State united. Speaking at the party’s second plenary at the YSR family estate here — where he was elected unopposed as the party president — he sought to address issues bothering the party, be it his perceived rift with his sister Sharmila, divisions in his camp or the party’s lost ground in the Telangana region. Posted by M Bharath Bhushan in Andhrapreneurship, Congress, Economy, elections, Hyderabad, TDP, Telangana, TRS, YSR. If the BJP government of Vajpayee could carve out three new States out of Bihar, Madhya Pradesh and Uttar Pradesh without shedding any blood, there is no reason why the Congress-led UPA government could not bring about separation of Telangana, forcibly merged with Seemandhra to become Andhra Pradesh 57 years ago by the government of Nehru with the promise of divorce if the union did not gel. Two unequal States were yoked together. It never gelled as Telangana was educationally and socially backward and Andhra, including Rayalaseema, was forward. Seemandhra comprising the Andhra and Rayalaseema districts treated Telangana as a colony and the people of Telangana have been agitating for separation ever since 1969. More than 900 people have lost their life in the prolonged struggle. 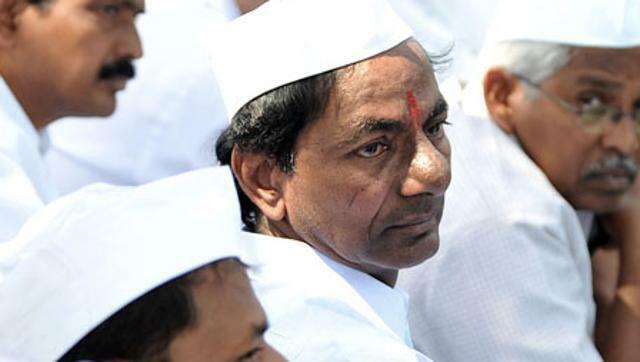 Granting statehood to Telangana does not involve any bifurcation of territory or division of assets and liabilities. It is a mere restoration of status quo ante, 1956. The people of Andhra Pradesh gave the UPA a mandate for Telangana statehood by giving more than three-fourths of the Lok Sabha seats in the State in 2004 and in 2009. Telangana statehood was on the UPA election manifesto. The government took the first step to redeem its election pledge in December 2009 when Home Minister P Chidambaram made an announcement to that effect in the Lok Sabha. Andhra Pradesh Chief Minister Kiran Kumar Reddy was unequivocal that as long as he was in charge, he would never allow separation of the two States and he was even prepared to step down. It was New Delhi’s insistence that Kiran Kumar preside over the dissolution of Andhra Pradesh that led to the murky aftermath of the government’s decision. Posted by M Bharath Bhushan in Congress, drama, Telangana, TRS, YSR. NEW DELHI: YSR Congress chief Vijayamma said there was no question of creation of Telangana if her husband and former CM Y S Rajasekhara Reddy was alive, accusing the Congress leadership of forcing him to ally with Telangana Rashtra Samithi in 2004. “He was against TRS. He never promised Telangana. But for the pressure from the high command, he was confident of contesting alone and winning the state in the 2004 elections,” she told TOI. “If YSR was around, TRS would have disappeared by now,” she added.